Rio 2016's Table Tennis competition is set to draw to a close tonight as China takes on Japan for the Men's Team gold medal. Japan will be looking for its first ever Olympic team gold, while China will attempt to make it three out of three Olympic team titles. The Olympic Games have treated China and Japan in different ways. For China the success rate at previous Games has been astronomical, but for Japan the Men’s Team competition has historically left a sense of underachievement. Beijing 2008 was the first Olympic Games to bring in the Men’s and Women’s Team Table Tennis events. China has won both of the Men’s Team titles since 2008, while Japan has endured a roller coaster of an experience. Germany stopped the Japanese team from making the final in Beijing with a 2-3 win in the last four. Then at London 2012, Japan suffered a quarter-finals exit to Hong Kong in another 2-3 defeat. Compared to the previous two Olympic Games, Rio 2016 has been an all-round success for Japan but the team will have their eyes set firmly on the ultimate prize come the final. 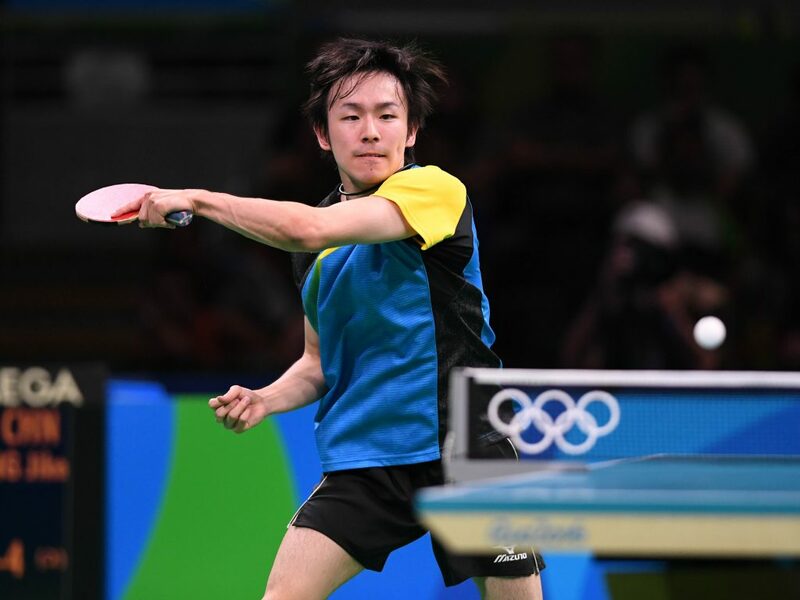 Victories over Germany and Korea Republic in the finals of the 2008 and 2012 Games have seen China become the dominant force in world Table Tennis, and tonight the Men’s team will be going for gold medal number three. Both China and Japan recently met in the final of the 2016 World Team Championships in Kuala Lumpur (Malaysia), a match that the Chinese team blitzed through in style. Xu Xin and Ma Long waltzed past Japan’s Jun Mizutani and Maharu Yoshimura respectively, before Zhang Jike added China’s third win beating Yuya Oshima in four ends. The final finished 3-0 to China, an outstanding achievement to win by such a comfortable margin in the final of a World Championships. Looking at both country’s players individually, it’s China who will enter the Olympic final as the clear favourites. Ma Long, Xu Xin and Zhang Jike have led the line for the Chinese team at Rio 2016, while Japan’s lineup will see Jun Mizutani, Maharu Yoshimura and Koki Niwa make another appearance. Only on one occasion has Ma Long lost to any of the three Japanese players when Koki Niwa beat him at the semi-finals stage of the 2012 Asian Olympic Qualification tournament, a defeat that would contribute to Ma’s absence from the Men’s Singles event at London 2012. Aside from that blip, Ma has proved too strong for Niwa across the six other matches. The Rio 2016 singles gold medallist (Ma) has never lost to Jun Mizutani in the 11 Senior matches the two players have contested. Koki Niwa also managed to register a 3-1 victory over Xu Xin at the 2015 Asian Cup – could he be Japan’s brightest hope for a win? Maharu Yoshimura has taken on Ma Long twice in 2016 losing both times to the Chinese star, and the 23-year-old from Japan hasn’t enjoyed the greatest rate of success against the other Chinese competitors; Zhang Jike and Xu Xin. “I have to turn my attention to my final game against Jun Mizutani. He is really good; he won the bronze medal in the singles, so we have to be on our guard,” said China’s Ma Long. Who will take the Men’s Team title? The match will take place on August 17th at 19:30 (GMT-3) and you can watch it HERE.